Faqeer Tabish Kamal is son of Hazrat Faqeer Bagh Hussain Kamal (Allah’s Kindness be on him) and he was appointed by Faqeer Bagh Hussain (RA ) as his successor, permitting him to take allegiance (Bay'ah). 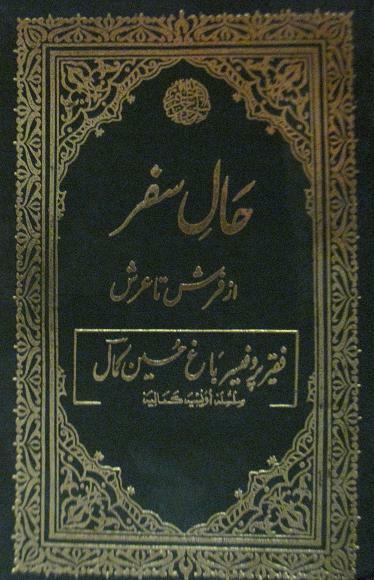 Here is a complete chapter from Book Hazrat-e-Kamal-e-Sani by Israr Ahmad Idraak, a compilation of discourses (Farmudat/Malfuzat) by Faqeer Tabish Kamal Sahib. Note: These pages are camera grabbed so quality is low but still readable, Page 106 is important. Whatever you see in physical world.....firstly it appears in the spiritual world. Then with the orders of Allah (Who is the Creator of the sources) some apparent effects appear in the physical world.........and the overall environment takes a turn gradually and this is the History. "The grand period of renaissance of Islam has set in and what-so-ever is about to appear in the physical world, the spiritual eyes of ‘Faqir’ has foreseen"
(Book: Haal-e-Safar By Faqeer Bagh Hussain Kamal RA, page 127). Thanks Brother Khurram Javaid from providing these scans, Its very nice to see Janab Tabish Kamal Sahib. MashaAllah. Barkat: You have not responded to my last question yet. Tell me what you know about the date????? I read this book at bookshop :) I reluctantly asked shopkeeper could I take photocopies of just one chapter, he smiled and said 'NO' then I wished someone send me this specific chapter and here it is after few months.....!! You see dreams come true after unknown time.........!! So "Basharatain" will come true One day InshaAllah, Just wait till that time with patience. Jazak Allah Brother. Insha Allah the time is not faraway. Thanks dear sister, Money is not a issue to me. Alhamdulillah. Actually I completed the book inside the shop that's why I thought to copying only few pages....!! but thanks for the offer :). I feel honored really. "Afghans are no lesser than us when it comes to the love for Islam and we are no more than any enemy of ours when it comes to strength, result can be anything!" Soon, the english translation of many of these excerpts will be posted here inshaAllah, and you will be shocked to know what that Qalandar said many years ago :) (although they have already been posted here in original). InshaAllah these translations will be posted soon here once you provide me. I am going to reveal you the meaning of the Japan earthquake..
Lastly, Baktar e noor am I correct??? Japan earthquake is referred in Surah Kahf verses 85-87. The abjad calculation of verse 87 gives exactly the date of this year. ADNAN OKTAR: Yes. 85th verse of Surat Al-Kahf; I seek refuge with Allah from the satan. "So he followed a way, "says in the verse. "..until he reached the setting of the sun and found it setting in a muddy spring and found a people by it." This refers to the Japanese people, insha'Allah. In the verse 87; " He said, 'As for those who do wrong, we will punish them and then they will be returned to their Lord and He will punish them with a dreadful punishment." The abjad calculation of this verse gives exactly the date of this year. "Then he followed another way,"says the verse and goes on. Surat al-Kahf is a surat that carries signs about the End Times. It is a surat that refers to the times of the system of the Mahdi and a surat that all the incidents are explained inside. However I cannot give you any more details as it is not the time for it yet. There are a lot more details here. I will give those details later on, insha'Allah. I will explain them later on. 3/11 of Afghanistan... massacre of 16 innocents! Turn of tide! Tell us more if you can. First you tell me what you knwe about the date??? At last i found him Brig. Ali Khan has green eyes. He was striving for the establishment of khilafat. now he is in the army prison and facing court martial charges. SPOT ON brother... Green eyes is in Jail.. So called Faqeers predictions went into drain..>! Now what? Cowards as we are... We will keep dreaming and waiting.. until someone will blast us through and we will be no more.. What will happen to these Predictions then? Yah baat tu sach hay kah annay walla waqt pakistan ka hay ,our ussay lead pakistan army karay gi.inshalla ,is ka matlab tu yah bantta hay bohat jalid pakistan army ka control ALLAH AZOO JALL .kay adday banday kay hawalay hoo ga ,joo adal qaiem karay ga. Sufi bazurg baba ji serkar BARKAT ALI LUDHANVI KI DUWA HAY! ALLAH PAK HAZRAT UMER KAY KERDAAR KA BANDDA BACJ JOO ADAL QAIEM KARAY OUR MUSLIMS KOO AIK PLATE FORM PER AKHTTA KARAY ! INSHALLAH YAH TU HOO KER HI RAHNA HAY OUR IS PAKISTAN KOO TU ISLAMISTAAN TU BANNA HI JAY ! OUR YAH AWAZ WOH KAHTAY HAIN KAH MARI NAHI ! MARI NAHI YAAH TU ALLAH PAK KI RAZZA HAY' JITNA MUSKIL IMTIHAAN HOTTA HAY TAYARI BHI WASSI HI KERNA PERTI HAY ! ANNAY WALLAY WAWAAT KAY LYE PAKISTANI QOOM KOO TAYAR KYA JA RAHAY HAY 'ALLAH PAK NAY APNA NAZAAM NAFIZ TU KHEER KERNA HI HAy ,zaroorat is baat ki hay kah hum nay is system ka hissa banna hay yah bass tamashaye. It is very easy to blame those who are struggling for the establishment of khilafat,as CIA and MI6 agents without any proof. Actually these allegations are made on them by those people who are themselves puppets in the hands of CIA and MI6. I saw a dream a week back that I am on a pajero like vehicle with someone and was being followed by a double-cabin. We enter a round grassy terrain to avoid that vehicle. We enter with ease but the it enters with great difficulty. Then as soon as it enters, we leave the field with ease and again the vehicle follows us but faces great difficulties. We were completely at ease and then starting to relax and enjoy. It seemed to be a war-like situation. Then I see former american president Bill Clinton standing and telling people that whatever I am, its all due to Pakistan. Then he strips off his shirt and shows the Pakistani flag on his back. I could clearly see the crescent and the star. It seemed as if it was tattooed there or his hair was cut that way to make the flag, possible the latter. Then I see another american again without any shirt and urdu was written all over his body and he was shouting with passion. But, I didn't get frightened or feel any discomfort. It might have been arabic, I don't remember but it was in the urdu/arabic script (rasm-ul-khat). I could remember the word "nasar" (noon-swaad-ray) written alongwith other words..
Just events which you daily read on this site. 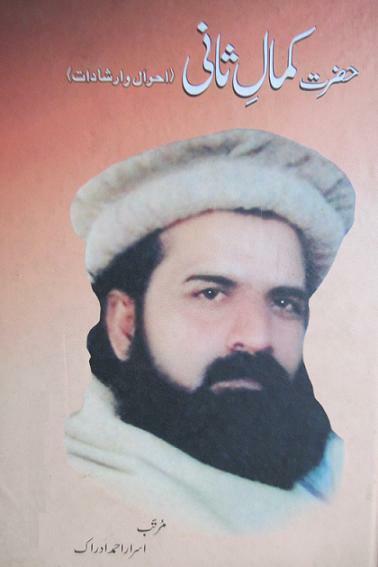 "In late 2008 he was spotted by Pakistan, US and UK governments"
What does it mean? :) That mean you know nothing. May I ask you few questions before I reply to your too many ifs & buts? Do you think he is been living in england an easy since then he was spotted? Don't you think UK and US governments didn't tell to enemy of Allah about him? Then what is been happened and happening to him since then? last month or month before I wrote quite in detail how is been treated in england especially david cameron, tony blair, zionist and others? He is been persecuted every where by them secretly. He protected them from punishment of Allah because he is following the Sunnah of Prophet Muhammad (PBUH) but they didn't stop. Now a lot of people knows what has happened to him but they have no courage. So, why don't you ask your Army Government and also don't forget imran khan? Also what made imran khan to talk to make Pakistan an Islamic Falahee country? Insha Allah when time will come Only Allah can answer to your questions..
Well I don't know how I suppose to give you an answer. But In reality Allah is the best planner. Things don't work in this way as you are telling here. where are admins from so many dayz? Br Faqar? Rather then identifiying who could be the mehdi why not work our ways to the path where mehdi will be best at. Plain rubbish...! Allah will never look favorably on Pakistan because we are the most coward nation on the face of this earth... Wake up from Sleep and forget these predictions..
Whatever they say means nothing to us. If we didn't change ourselves, we won't be left on the face of earth..! AFGHANIS are 100000% better than us... At least they are protesting like Muslims against Quran burning incident. What are we doing? Waiting for messiah? I believe that we are the followers of Dajjal.. We will wage war against Imam Mehdi and you are saying that Allah looks favorable upon us? Shame on this blog and Shame on you all guys who believe these Predictions...! ALLAH kay fazal say pakistan koo ISLAMIC state of islam bhi banna hay muslamee umma ki setbrahi bhi kerni hay . serware kayenaat koo jahan say dhandi hawayeen atti thi woh yahi khitta hay. our HAZRET UMER KAY KERDAAR KA BANDA A KER RAHAY GA JOO MUSLIMS KI SAAF BANDI KARAY GA OUR ADAL QAIEM KARAY GA ! ZUBAN SAY KAAM OUR GOLLI KA HUKAM DAY GA ! JISSAY DANDAY WALI DERKER KAHA JAY TU THEEK HAY ! PAKISTAN KA ISSLAHI NAAM ISLAMISTAAN HOO GA ! ZAROORAT IS BAAT KI HAY KISS NAY IS SYSTEM KA HISSA BANNA HAY OUR KISS NAY BASS TAMASHAYE ! WAQTI HALLAT KOO DAKTAY HUWAY YAH BATAIN SHAID BOHAT BARI LAGTTI HAIN ! QOOMOON SAY JITNAY BARRAY QAAM LANAY HOO UN KOO UTNI KI LHATEN QASUTTI SAY KUZERNA BHI PERTTA HAY! INDROONI OUR BARUNI DAZSHEEN PAKISTAN KOO ADSAY HI DERPASH HAIN JASSAY 1400 saal pahlay MADINA PAK KOO THI ! INSHALLAH BOOOHAT JALID BADAL KALAY CHAHT JAIN GAIN OUR MATLA SAAF NAZER ANNAY LAGAY GA INSHALLAH ! ALLAH PAK JAAB FAZAL KERTAY HAIN TU QOMOON KA QERDAAR BULAAD FERMA DATTAY HAIN !